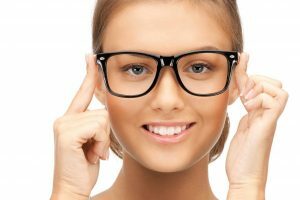 Buying Eyeglasses Online? BIG MISTAKE! Top Eye Docs Tell You Why. BIG QUESTION: Which would you rather be, a unique individual or a faceless consumer? To most, this question is likely a no-brainer, and it's the beginning of why you DON't want to buy your eyeglasses online! Our Eye Care Patients Are Our #1 Priority! While to an online store you are a faceless consumer, our trusted Hattieburg eye care professionals care for you as an individual. We aim to help you look and see your best, and safeguard your long term eye health and visual comfort. Our opticians will go to great lengths not only to measure your exact prescription, but also to take into consideration things such as your face shape, the way your lenses will look and feel with certain frames, and what size and type of frame will be most comfortable and provide you with the best vision. Our opticians will also consider where each type of frame will sit on your face, which influences what part of the lens your eyes will be looking through. This is especially important with bifocals, in which an improper positioning of the lens in front of the eye can make proper viewing through the different vision zones especially difficult or impossible. A professional, trained and educated optician with whom you have a personal relationship is more likely to fill the prescription correctly the first time, and fix it if there is a mistake, than an online retailer whose training is customer service or sales oriented, and with whom you share no personal connection beyond their desire to sell you their products. Our Hattiesburg Opticians Can Save You More Money! Low prices and great deals are some the biggest promises online stores make to consumers. However, while the price on some online sites may initially appear to save you money, you often wind up paying more money than if you order from your local Hattiesburg Optical. At Heritage Vision Center, our eye care team maintains special relationships with certain eyeglasses manufacturers that allow us special deals and savings on items ranging from designer frames, to specialty lens coatings and treatments, which we are then able to pass on to you, our patients. We often receive special rebates for our patients, which we are happy to send in on our patient's behalf. This allows our optical professionals to cut costs for you at the bottom-line. By contrast, online services are often unaware of these rebates or require you to redeem them on your own in order to save money on your eyeglasses. To see and look your best, visit Heritage Vision Center, today! Want to learn more? Visit our Eyeglass Guide!